IAMBRIGITTE : out of boredom? not really...i just need to replenish stocks of my favorite MMU foundation. I'm also itching to try out BB creams (blame that to good reviews i read online), but just can't decide what to get. 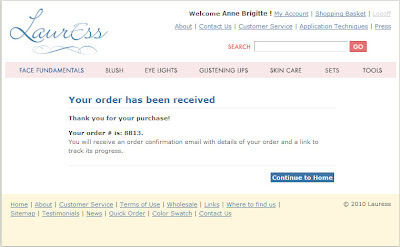 So i went to ebay and got myself 16...yes, 16 bb cream samples. Let's see if I still won't be able to get a match. LOL! I have a lot of work to do, but I am so lazy today. I might leave office a bit earlier than usual and catch a movie. I can't believe it's been almost 2 weeks since the opening of Eclipse and I haven't watched it still. My job ruins my social life...really! i haven't even watched twilight! yeah, i really wish i'll find a bb cream that would work for me, i need to give my skin some rest from all those heavy foundations im using. sis [b]rain12blue[\b] and [b]caby[\b], out of the 16 samples i got i really am hoping ill find my match. actually, im already liking one. dont worry ill post short reviews soon!